The tough and bulky score big at this SoMa watering hole self-styled as Bear Bar USA. 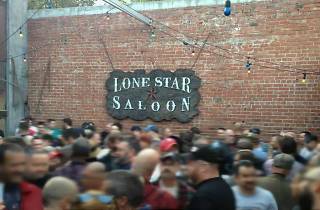 It can be slow on weekdays inside but wend your way to the rear, past the pool table, past the DJ booths and bathrooms, down the hallway lined with decades of gay memorabilia, to the outdoor patio to find the crowd chomping cigars and sharing cigarettes. 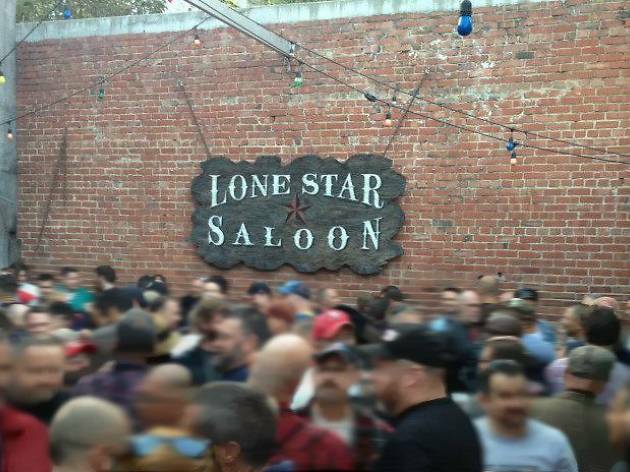 On Sunday afternoons, the Lone Star is the default second-choice destination for those heading to the Eagle.